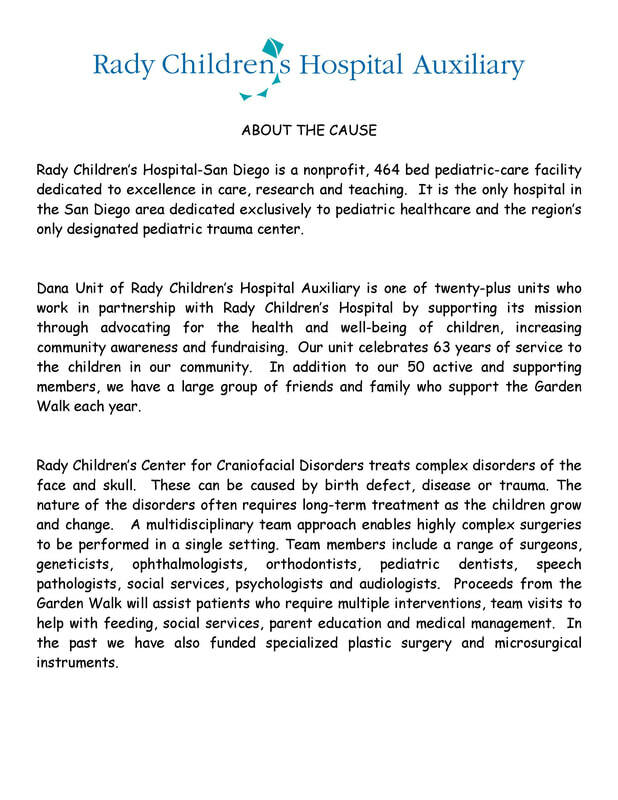 ​Each of these ways helps to ensure each child being treated in Craniofacial Services gets the finest medical care. 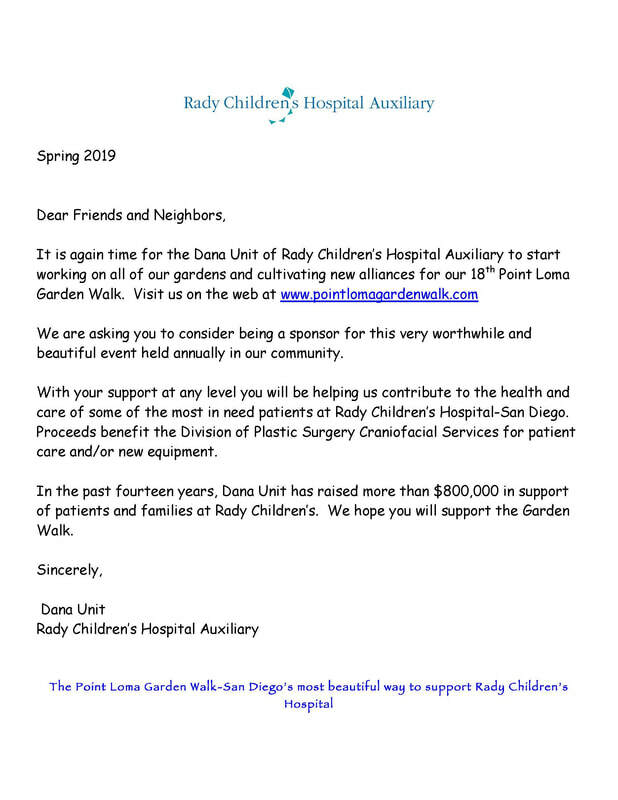 Your gift matters. You are making a difference. 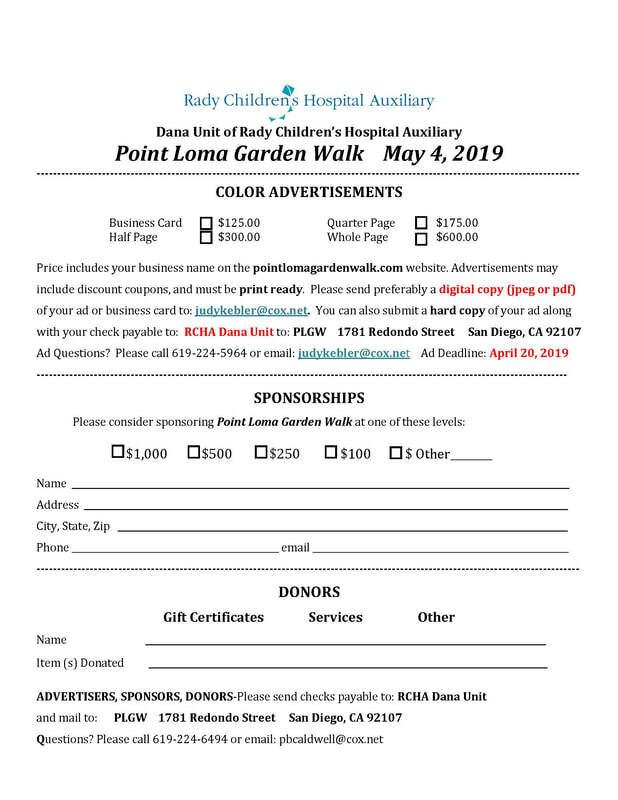 Become a sponsor/donate to the Point Loma Garden Walk with proceeds going to Rady Children's Hospital Craniofacial Dept.